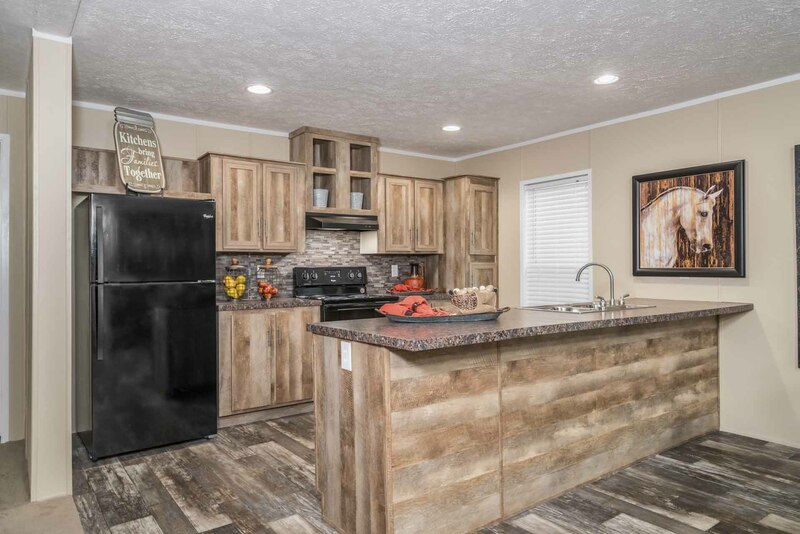 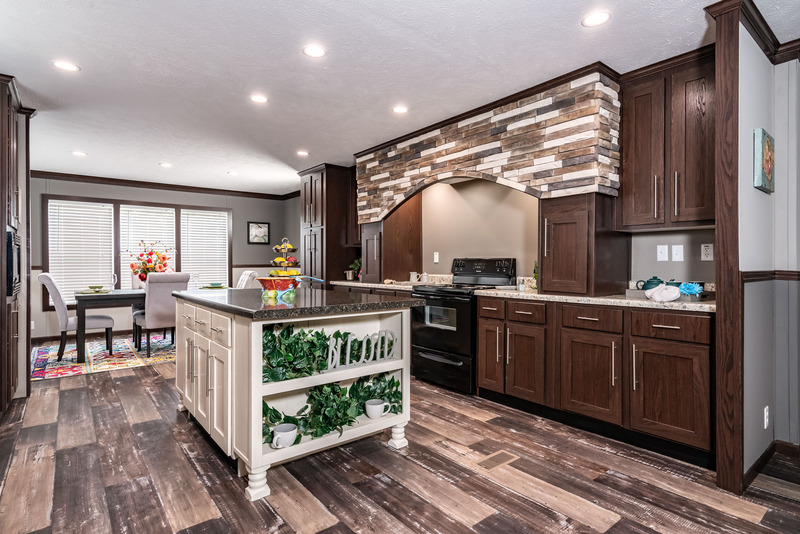 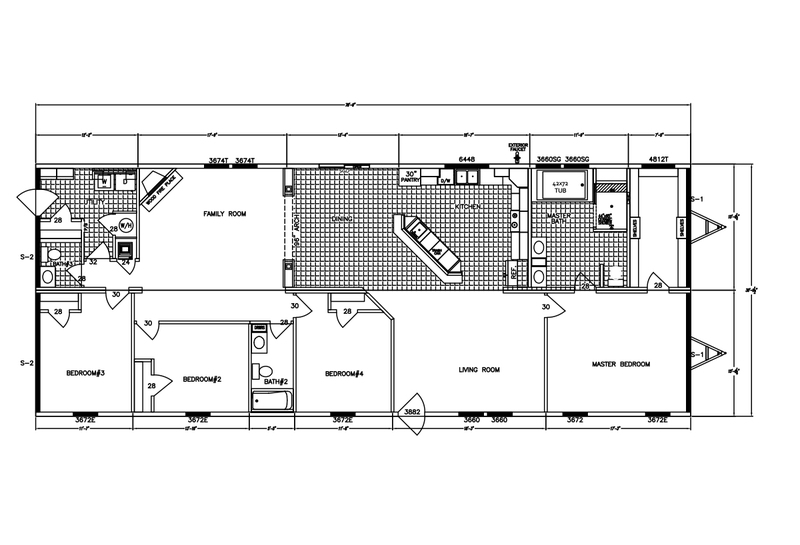 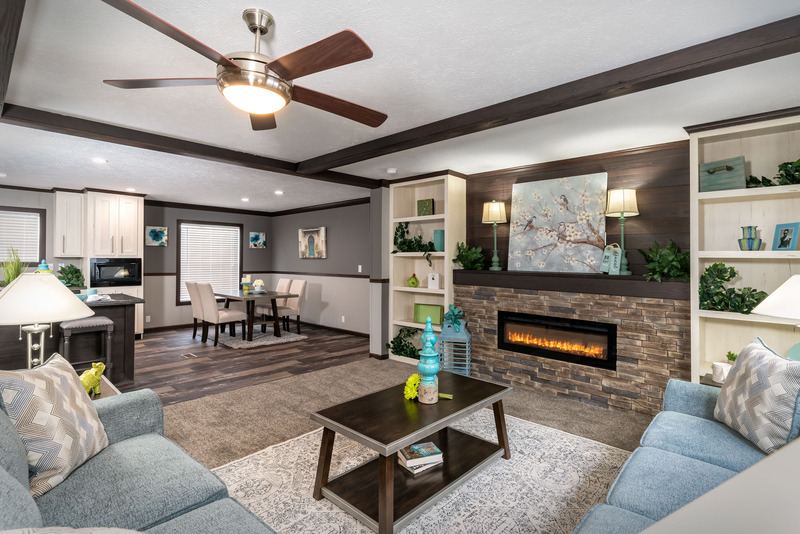 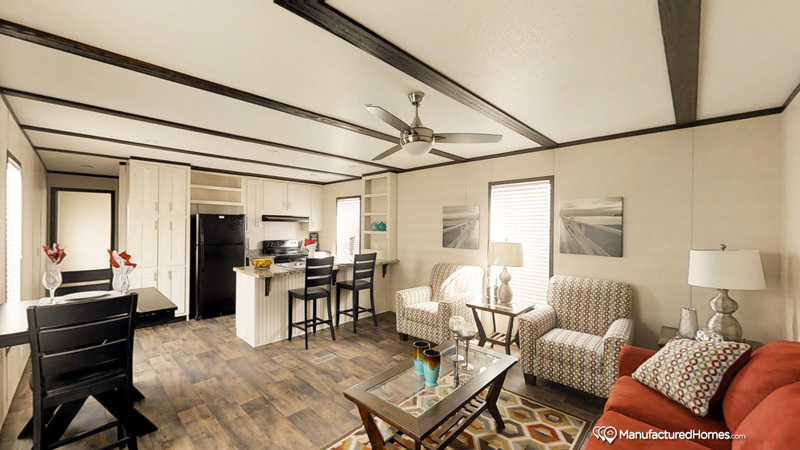 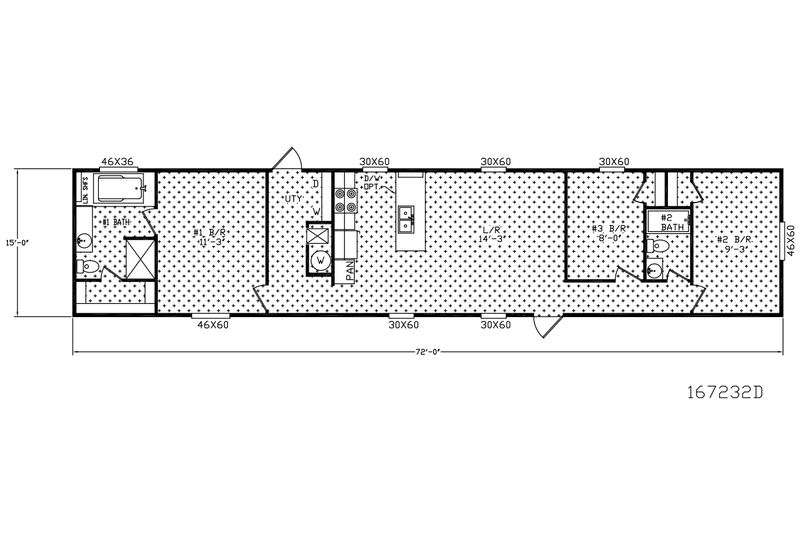 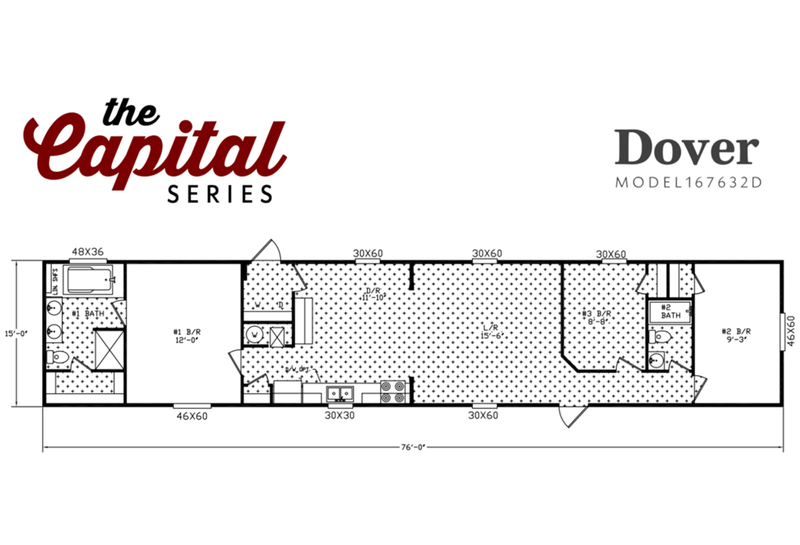 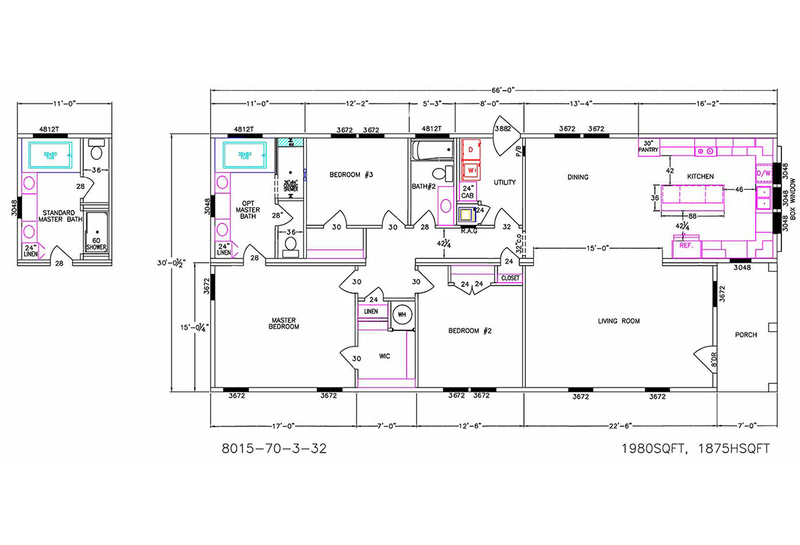 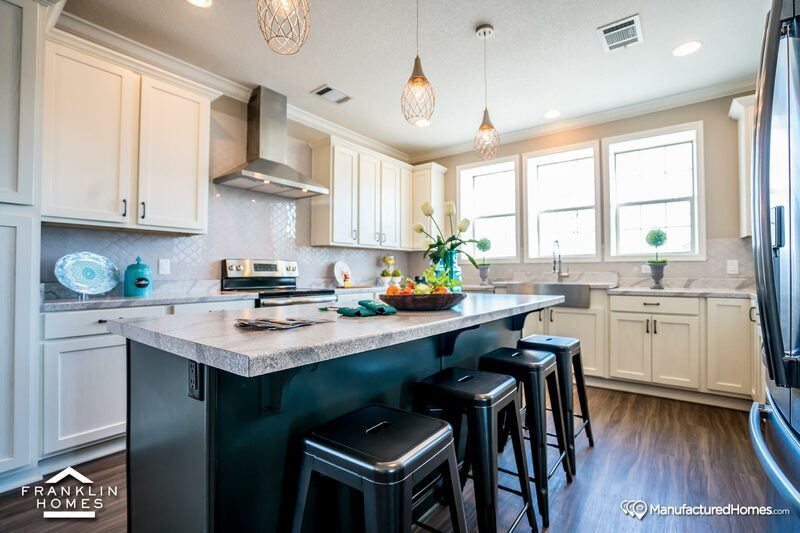 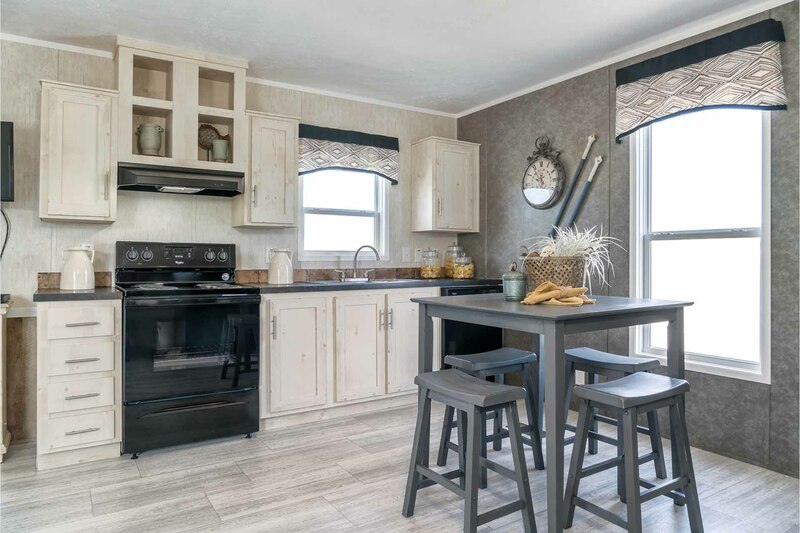 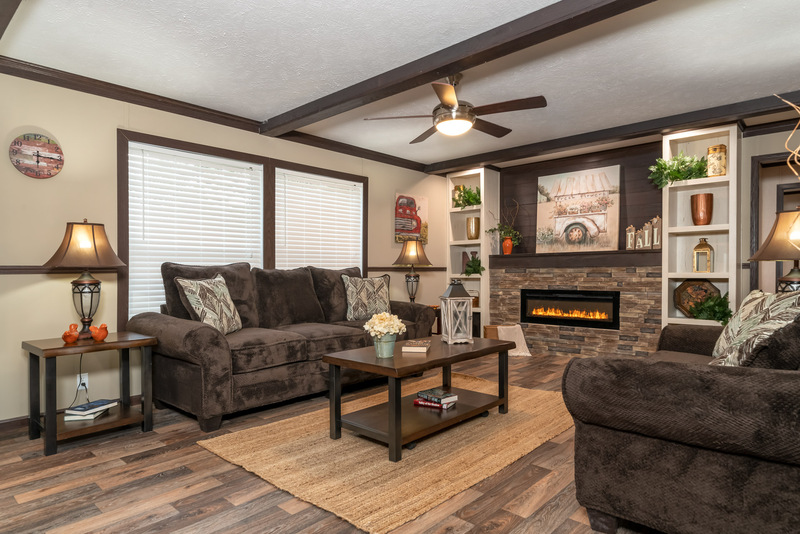 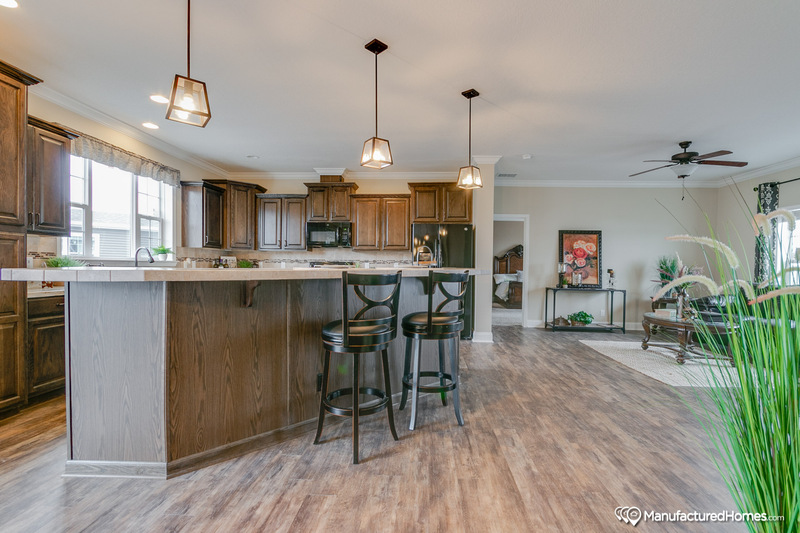 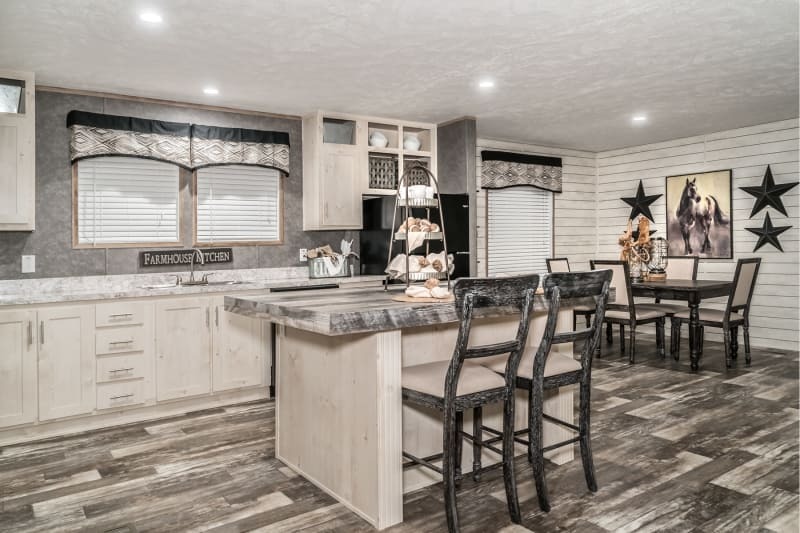 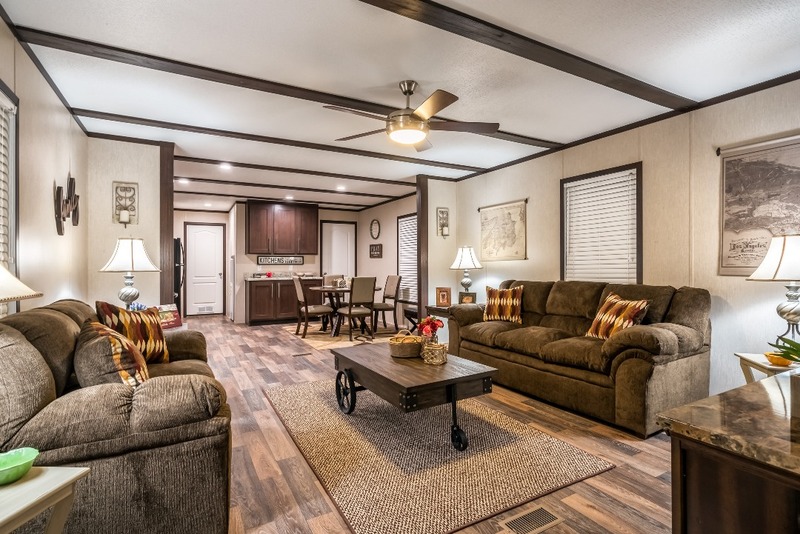 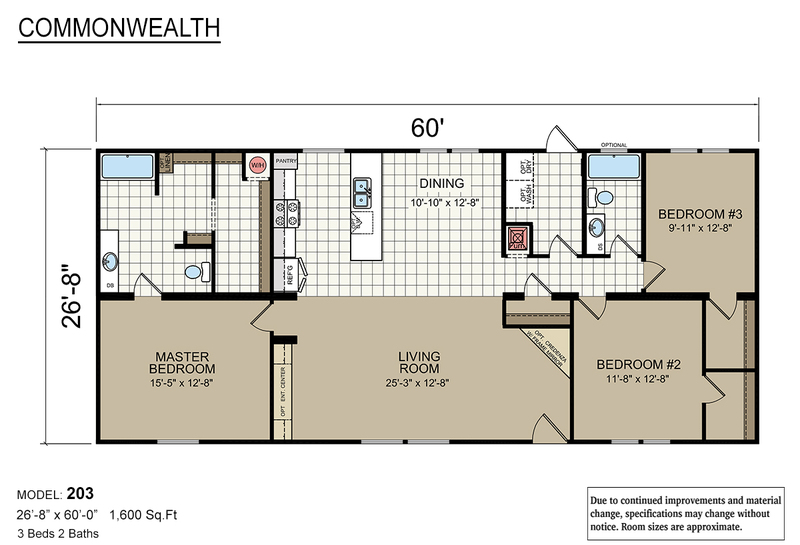 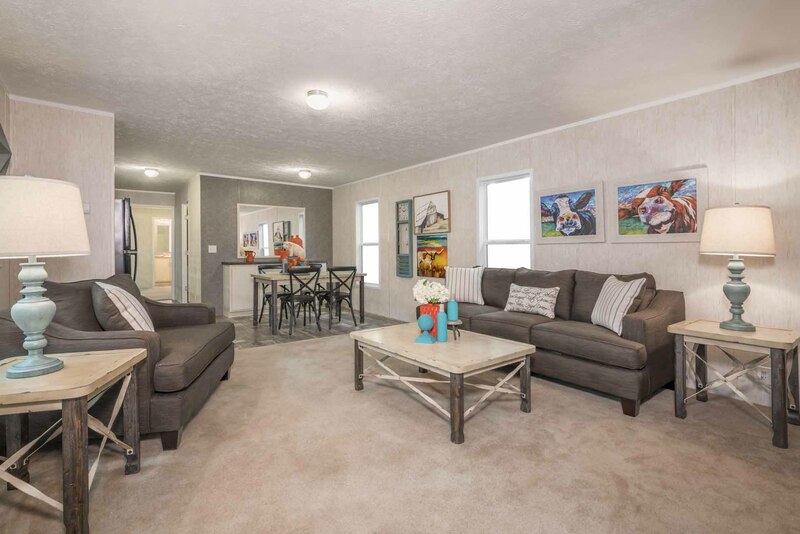 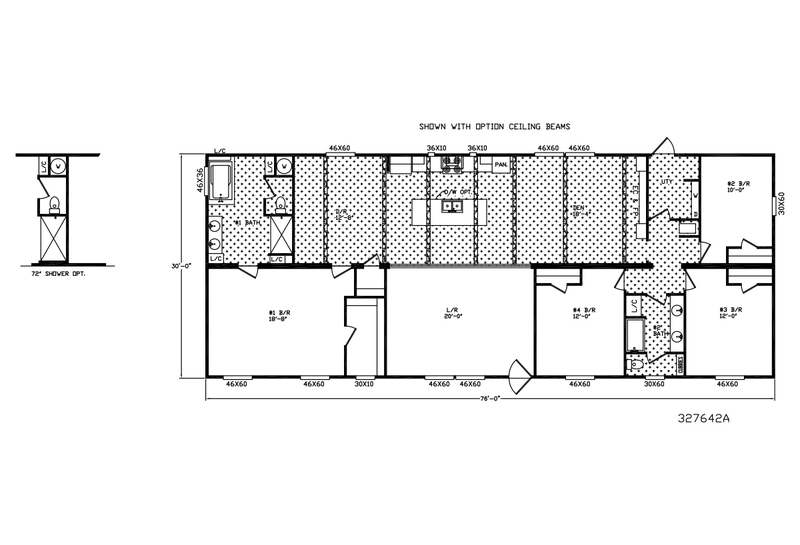 The layout of the Dover 167632D model emphasizes a large open space for the living room, dining room and kitchen. 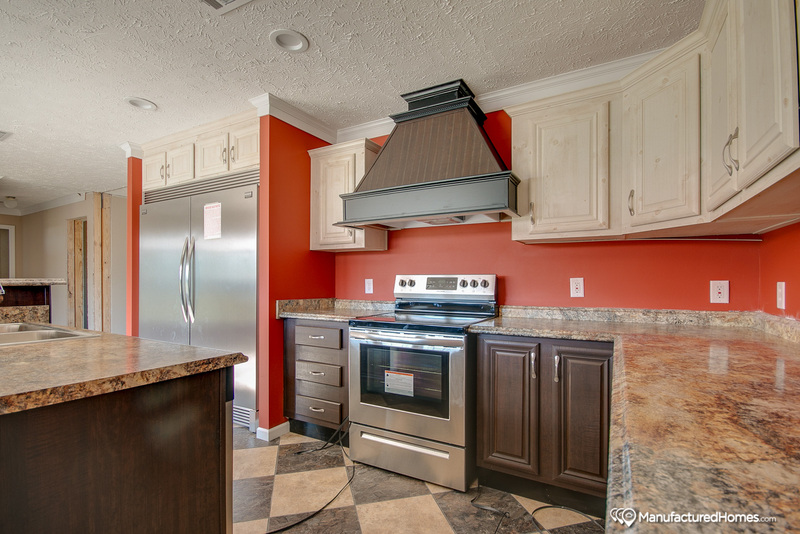 The kitchen has a stainless steel vented hood and range. 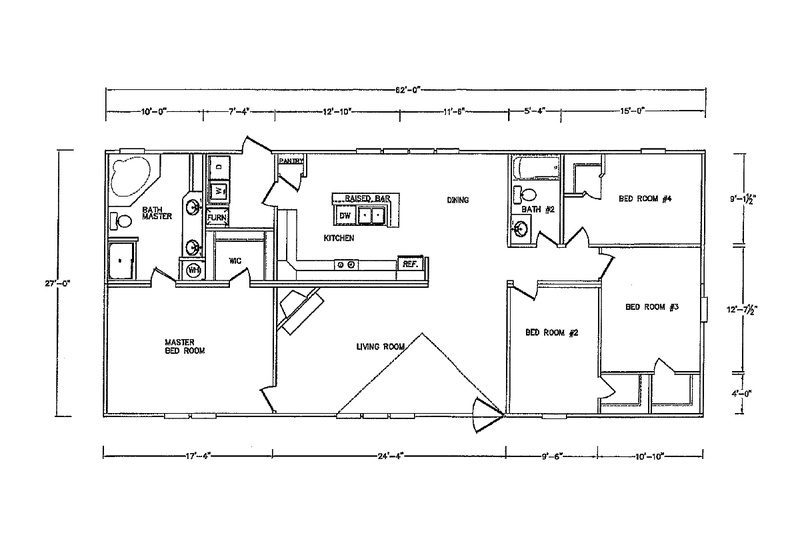 The master suite combines a comfortable bedroom with a relaxing bathroom. 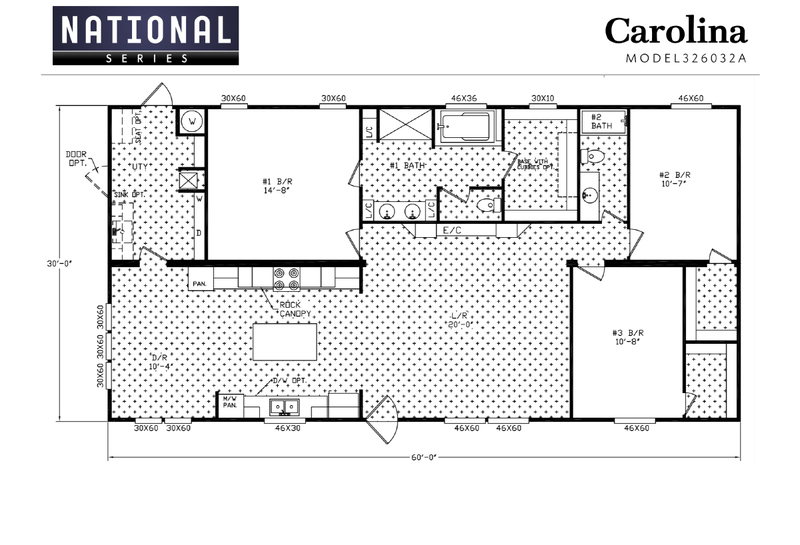 The bathroom has dual vanity sinks, a large tub, separate shower, toilet, and the largest master closet in all of our models. 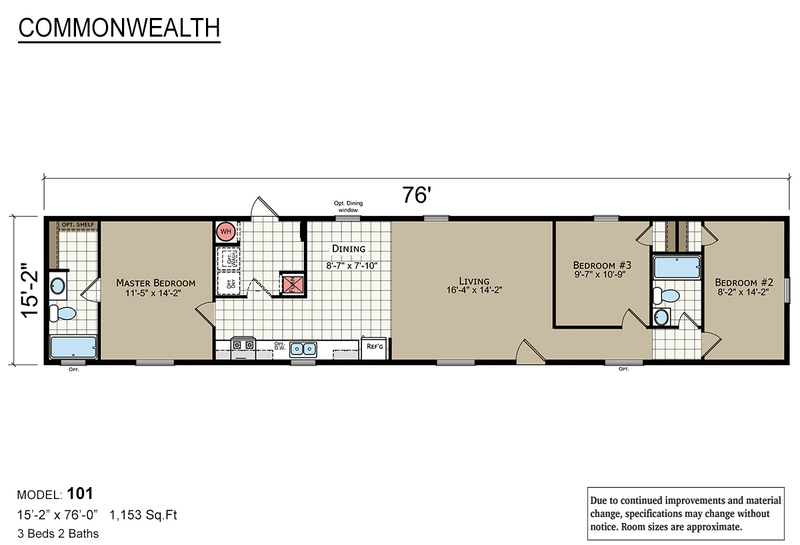 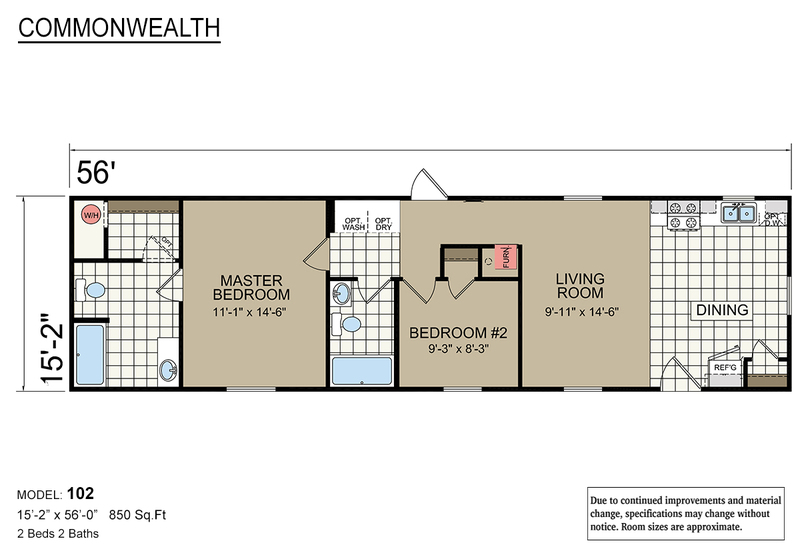 The other two bedrooms are located on the other side of the house, meaning the master suite has maximum privacy. 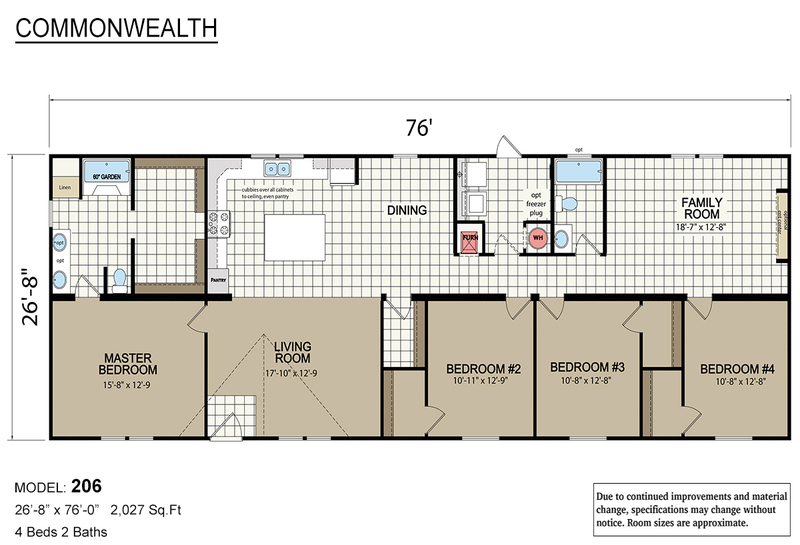 The two bedrooms share a full bathroom. 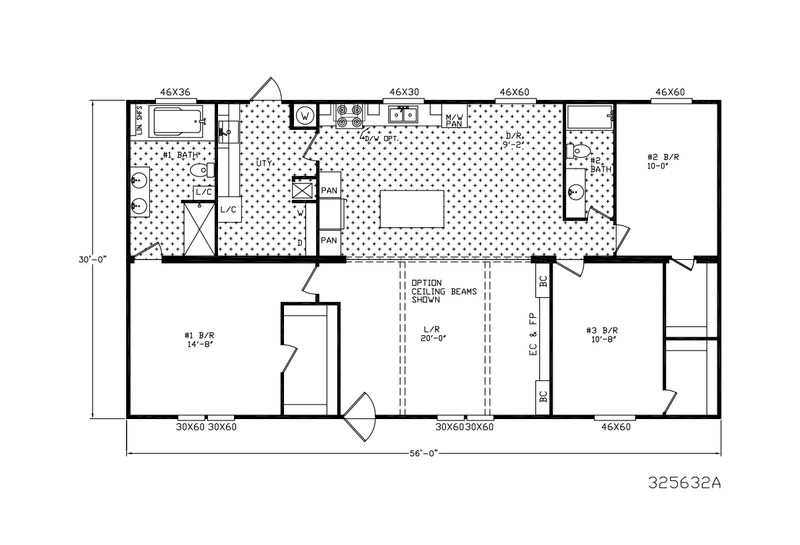 There is a utility room with washer/dryer hookup and additional storage space.